Will our Council Tax fall Why is nothing simple? Unfortunately the answer isn't. Your Council Tax is made up of 5 elements - Derbyshire County Council, Bolsover District Council, Derbyshire Constabulary, the Fire Authority and the Parish Council (i.e. us). The first four elements are the same across the county, that is, every household pays the same amount in each band. Those four authorities control how much that is. 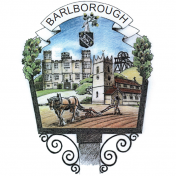 The Parish Council bit is called the Precept and that is controlled by Barlborough Parish Council.